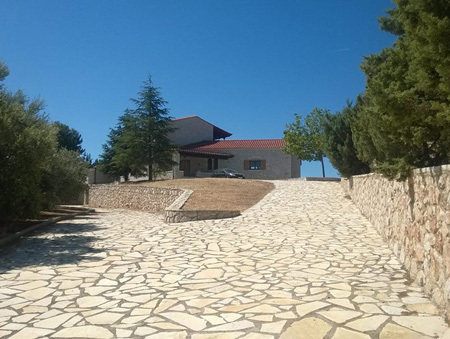 Beautiful new house 95m2 in 5.000 m2 land with many trees and olive trees, stone fenced, two big sunny bedrooms, living room with fireplace, large bathroom, fitted kitchen, central heating, traditional style design and built to high standard, this fantastic home with unimpeded view and large terrace is faces south – east – west, ideal dry climate, beautiful large garden with modern BBQ, dogs are welcome, quiet, safe neighborhood, ideally situated for year round living, luxury for good value, excellent condition, many different beaches near, close to Nafplio, the city that was voted the most beautiful city in Greece for this year, an ideal city for bicycles, sporting activities all year round, many different archaeological sites nearby, festivals and different events held in all seasons, cruises to Hydra, Poros and Spetses over the summer months, 40 mins drive to Korinthos, 1,4 h Athens Airport, hourly bus to Athens. Liebhaberobjekt mit besonderem Flair. Neues Haus 95m2 in 5.000 m2 Land mit Obst + Olivenbaeumen + Gemuesegarten auf Wunsch, Steinzaun – blickgeschuetzt. 2 SZ. Wohnzimmer mit Kamin, gr. Bad, Einbaukueche, Zentralheizung, grosszuegiger griech. Stil – alles Qualitaet, offener Blick sowie grosse Terrasse auf Wunsch als ueberdachte Wohnebene – Lage: ost – sued – west, trockenes Klima, wunderschoener Garten mit modernem BBQ – HUNDE WILLKOMMEN – ruhige angenehme Nachbarschaft – ideale Lage um das ganze Jahr hindurch sein Leben schoen zu gestalten, viele Straende leicht zu erreichen, nah zum Zentrum Nafplions – welche heuer zur schoensten Stadt Griechenlands gewaehlt wurde – auch ideal fuer Fahrraeder – sowohl viele Sportaktivitaeten das ganze Jahr hindurch – herrliche archeologische Staette rundum nah – Festivals und versch. Events das ganze Jahr hindurch. In den Sommermonaten taegl. Schiffsreisen zu den Inseln: Poros – Hydra – Spetses, 40. Automin. nach Korinth, 1.4 h Flughafen Athen – jede Stunde Bus nach Athen / 2 h Patras. Καινούριο όμορφο σπίτι 95 τ.μ. σε 5.000 m2 πανέμορφο κήπο με πολλά διαφορετικά οπωροφόρα δέντρα και ελιές, περιφραγμένο με πέτρινο φράχτη, δύο μεγάλα φωτεινά υπνοδωμάτια, σαλόνι με τζάκι, μεγάλο μπάνιο, μοντέρνα εντοιχισμένη κουζίνα, κεντρική θέρμανση, σχεδιασμένο σε παραδοσιακό στυλ και χτισμένο με τα υψηλοτέρα στάνταρ, αυτό το καταπληκτικό σπίτι με την ανοικτή θέα έχει προσανατολισμό ώστε να βλέπει ανατολή, δύση και νότο, ιδανικό ξηρό κλίμα, όμορφος κήπος με μοντέρνο μεγάλο BBQ, οι σκύλοι είναι ευπρόσδεκτοι, ήσυχη και ασφαλής γειτονιά, ιδανική για όλο το χρόνο, πολύ καλή σχέση ποιότητας και τιμής, το σπίτι βρίσκεται σε εξαιρετική κατάσταση, κοντά στο Ναύπλιο, την πόλη η οποία ψηφίστηκε ως η καλύτερη πόλη στην Ελλάδα για το φετινό έτος, μια πόλη ιδανική για ποδήλατο, και αθλητικές δραστηριότητες όλο το χρόνο, πολλές διαφορετικές παραλίες κοντά, όλους τους καλοκαιρινούς μήνες καθημερινά κρουαζιέρες για Ύδρα, Πόρο και Σπέτσες, 40 λεπτά Κόρινθος, 1,4 h αεροδρόμιο Αθήνα, κάθε ώρα λεωφορείο για Αθήνα. 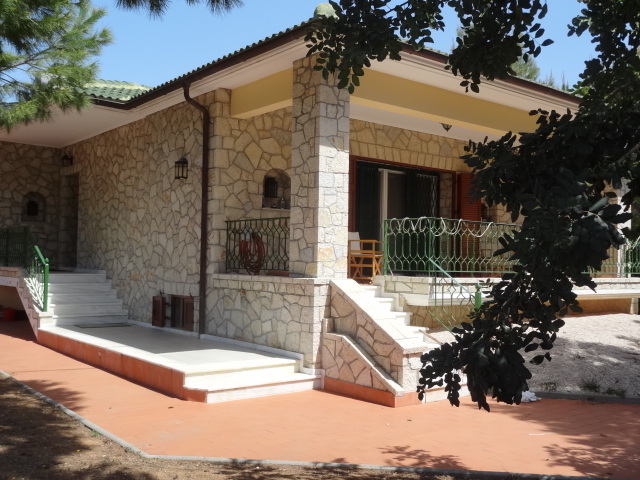 Large house to rent in Asini of 165m with a small garden at the front and at the rear of the property (approx. 150m). 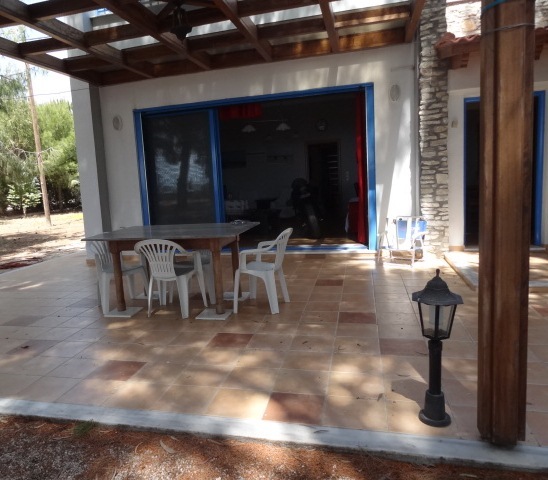 It comprises of: Semi Basement: With Garage Doors which can be used for either garage and or store room. Internal Marble Staircase. Ground Floor: Is also accessed from the front outdoor stairs it opens up to the open plan living room with fireplace and a large front balcony which has open views to the surrounding area. A separate kitchen with fitted cupboards and area for dining, door open to a covered balcony, with views and steps to the rear garden . W.C. Top Floor: 3 bedrooms with balconies and a full bathroom. Provisions for: A/C, C/H, Alarm System. 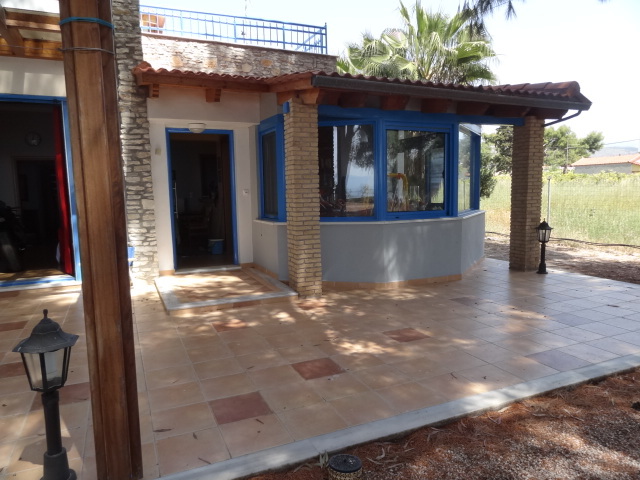 With great sea and countryside views. In excellent condition. 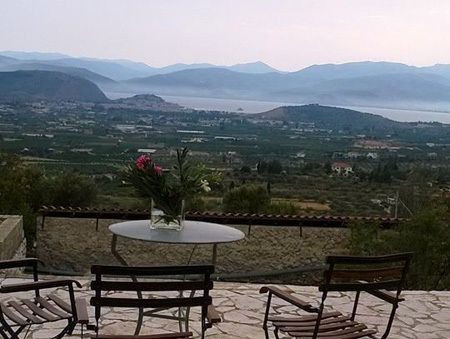 2km from the beach and 9 km to Nafplio Town. 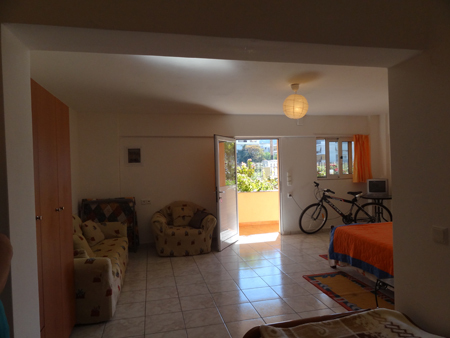 1st Floor: First Floor 160m² with 3 bedrooms, 2 bathrooms. Loft. 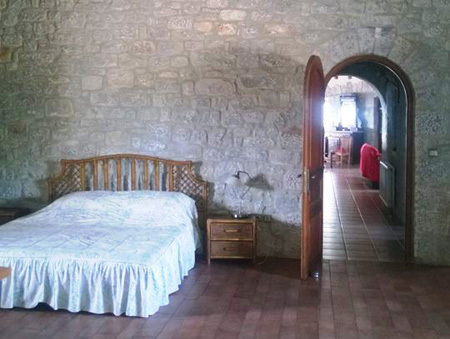 2nd Floor: 60m² bedroom suite, all in exellent condition. Swimming pool. Large t conditions. A/C. C/H. 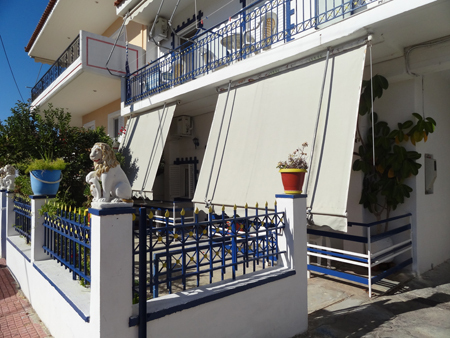 large verandas - near Nafplion town. Large swimming pool. 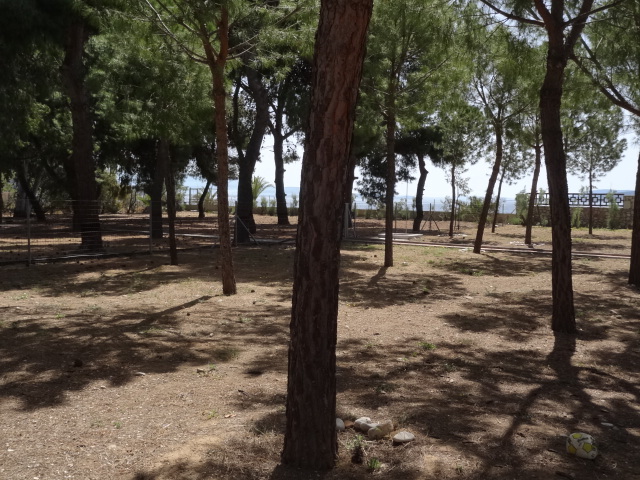 700m from beach. Fabulous ocean views. 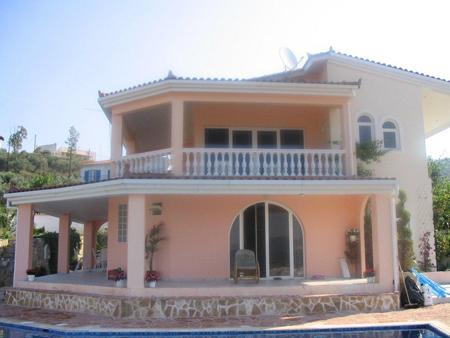 Perfect blue skies – pure white beaches – crystal clear waters – year round sunshine – purchase a dream property. 2h to Athens Aerport and Patras. Each ouer a bus to Nafplion and to Athens. 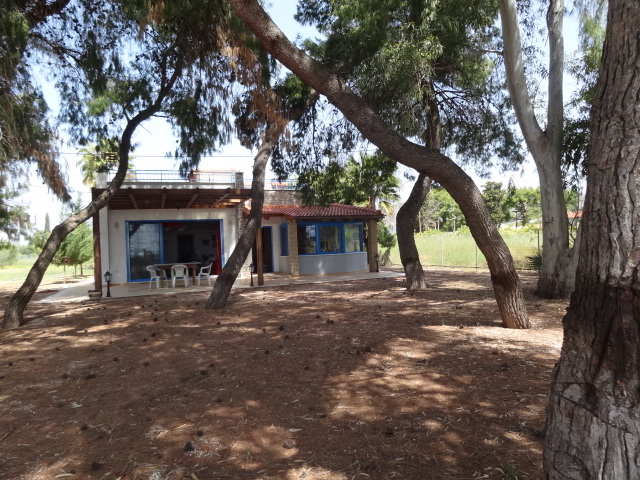 Μια εξαιρετική βίλλα 380m² σε τρία επίπεδα με οικόπεδο 9.000m². Αποτελείται από: Ισόγειο: 160m²: χολ, ανοιχτή κουζίνα/τραπεζαρία και σαλόνια με τζάκι, Bar, WC. 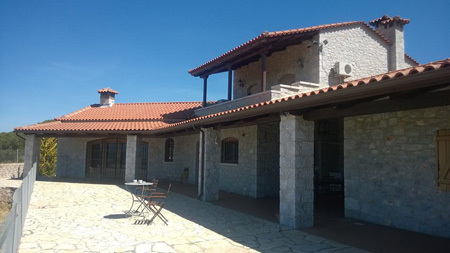 Όροφος Α : 160m² με 3 υπνοδωμάτια, δυο μπάνια, χώρο γυμναστήριου. Σοφίτα. 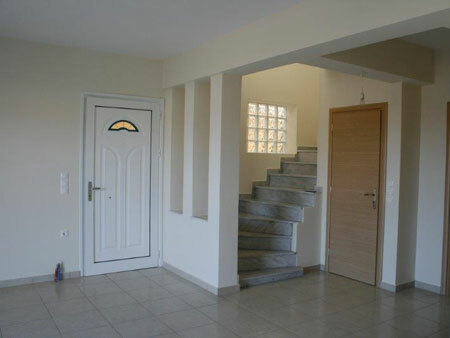 Όροφος Β: 60m² σουίτα (υπνοδωμάτιο). βεράντες. Πισίνα. Σε άριστη κατάσταση. Κοντά στην πόλη Ναυπλίου. 700 μέτρα από την παράλια. Φανταστική θέα προς την Θάλασσα. Price: fuer Sommermonate pro Monat E 1.800 - Vermietung auch fuer 10 Tage – Preis wird besprochen. total modern moebliertes Strandhaus + 4.000 m2 sehr gepflegten Garten – direkt am Meer bis 8 Personen + 2 Kindern – grosses Wohnzimmer + Kamin – grosses Esszimmer + gr. Terrasse mit fantastischem Meerblick + BBQ + 3 grosse Schlafzimmer mit Doppelbett + 2 Baeder – modern komplett eingerichtete Kueche + Spuelmaschine etc………..A/C + C/H in allen Raeumen, viele Parkplaetze – internet – TV . . Das Haus hat einen 2. schoenen Eingang von der hintern Seite des Hauses mit grossem Garten – keine stoerenden Nachbarn - sowie blickgeschuetzt, das volle Grundstueck ist eingezaeunt. Dieser Teil kann extra vermietet werden. Auch moebliert – Wohnzimmer mit grosser Kueche – 2 Einbettschlafzimmer + Bad. Price wird besprochen. Herrlicher Platz fuer gestresste Urlauber ! Viele archaeologische Staette nah / Athener Flughafen 1.5 h Autobahn / Patras 2 h / Price: fuer Sommermonate pro Monat E 1.800 - Vermietung auch fuer 10 Tage – Preis wird besprochen. 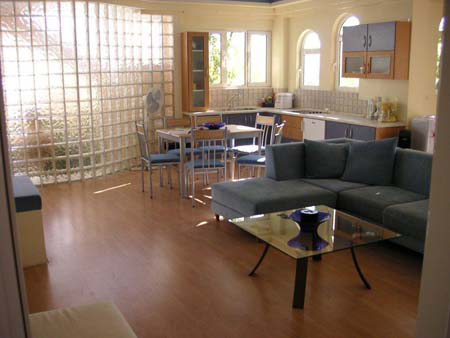 120 sqm apartment 3-4 bedrooms, diningroom with opend modern kitchen,2 bath, 2 balkonies, everything modern and best quality until 6 person + Baby or small children, independ heating. 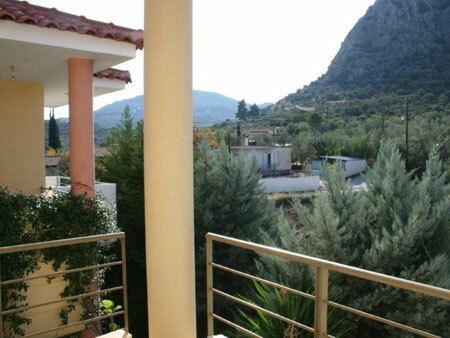 The apartment is in one of the best placies of old town in Nafplion, waking distance immediately everywhere.......habor, coffeeshops,supermarkets, taberns, museen, parks, busstations, beach. 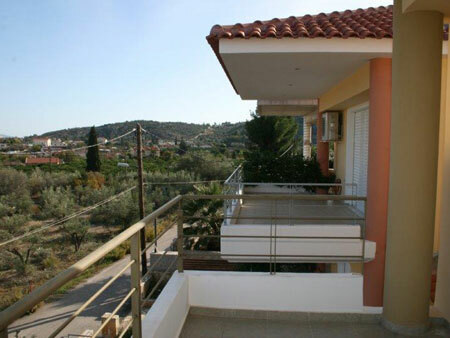 The location of the apartment is in a quiet street and from the 2 balkonies a wonderful view to Palamidi. Rented from 2 persons up. € 120 per day. Price per month or more will be discussed. 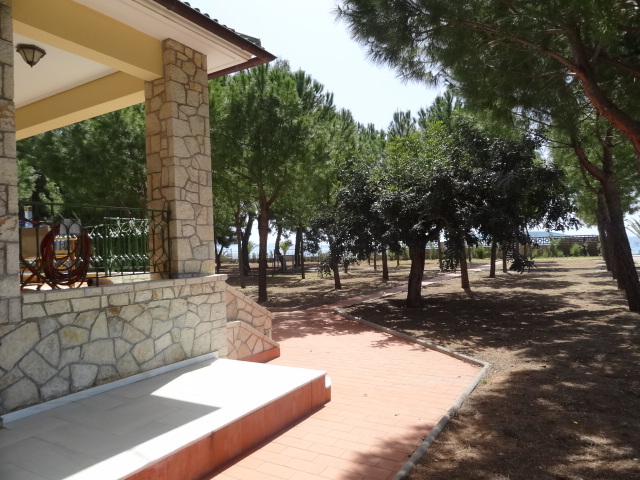 new 200 sqm house near the sea side/ in a lovely village, garden 630 sqm, 2 - 3 bed rooms, 2 bathrooms, large terrace, A/C, under-floor heating, fireplace - light sea view, in two levels + large garage - can lso be used as a playroom - all modernly furnished - large pool next door can be used. 3 min. 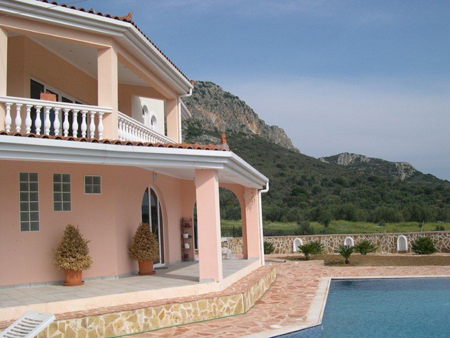 to different beaches, 8 mins from Nafplion and 1.4h from Athens airport.